In 1904, the entire wooden city centre burned down in a great fire. It was a disaster, but the Norwegians made the best out of it (as they do). They rebuilt the city in the fashionable Art Nouveau style (Jugendstil). The result is a fairylike city centre, with picturesque streets and buildings with beautiful towers, spires and decorations. You thought it was nice to walk through the streets? Wait till you see the view from above! Climb the 418 steps to Aksla Hill, and look out over the rooftops, the islands in the sea, and the steep mountains surrounding the city. If the wind blows too hard, take shelter at the Fjellstua Kafé. 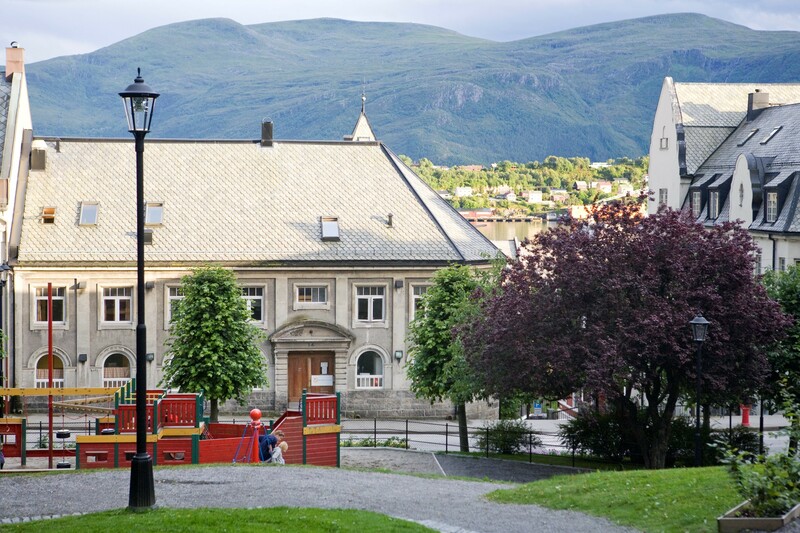 The exciting open-air museum of Sunnmøre exhibits ancient houses and boats, and gives an overview of the culture of the region of Ålesund from the Stone Age to the present. It lies just outside the city, and is worth the detour. The biggest aquarium of Norway, and one of the largest in the whole of Scandinavia, the Atlanterhavsparken offers a spectacular encounter with the animals of the Atlantic Ocean. There are special busses from the centre. If you’re travelling with kids: this is the place to go! The “Alps of Sunnmøre” are one of the most spectacular mountain chains in the country: their sharp peaks tower high above the deep and dark-blue fjords. 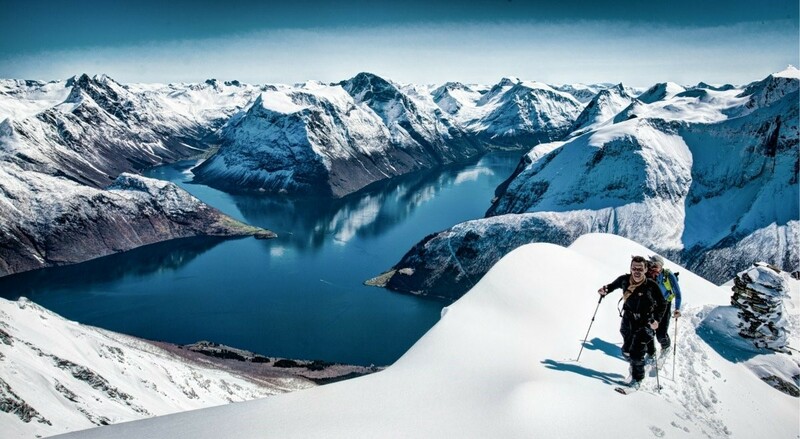 The mountains, surrounding Ålesund, offer a year-round challenge: go on endless hikes in summer, or take on your skis in winter! The lovely people of our Ålesund hostel wish you welcome, all year round!